was introduced during December 1940. 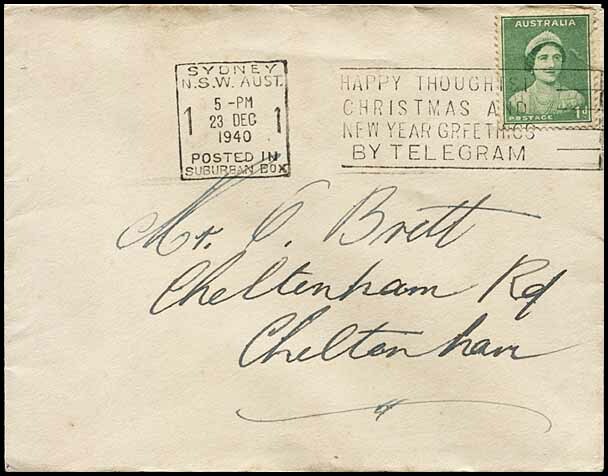 It was used at 10 Post Offices including all main Post Offices, except Hobart and Perth, and at several local Offices. 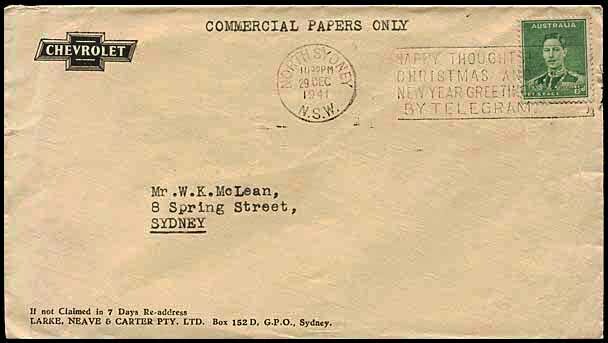 the earliest recorded date of use is 9 December 1940 at Brisbane (Box 3). 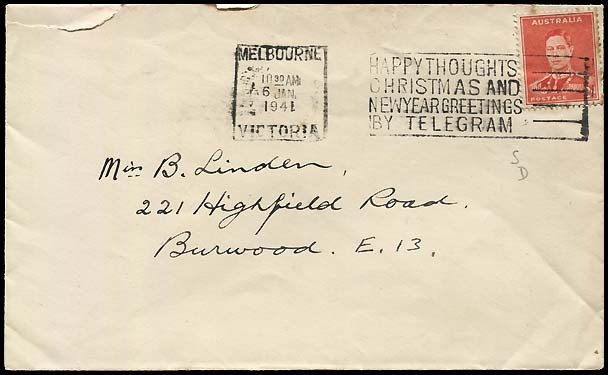 the latest date of use is at Redfern on 15 December 1969 although that is a very late usage date. 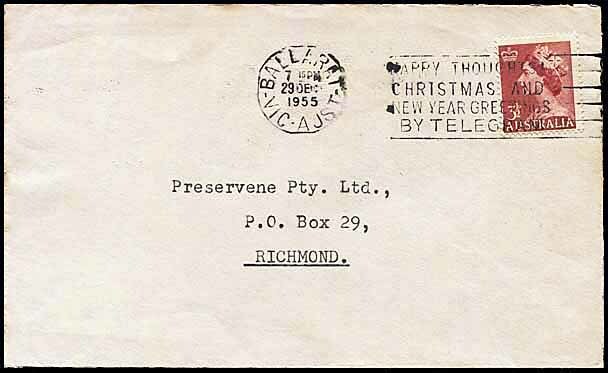 The next two latest dates are 29 December 1955 at Ballarat and then 1952 at Dubbo (see Occleshaw). 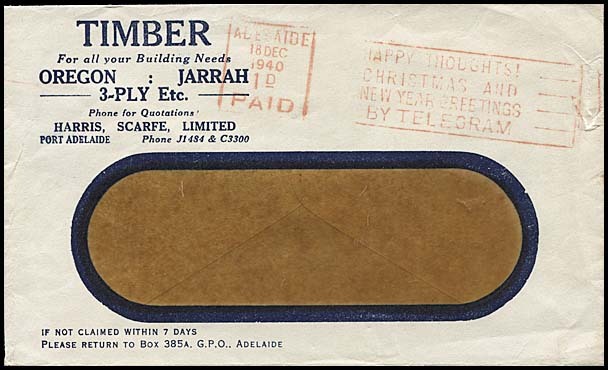 there is a significant break in the use of this slogan between 29 December 1941 (at North Sydney) and 22 December 1955 (at Ballarat). This slogan die generally had a shorter use compared to other slogan dies - there are only 36 examples of its use in the Census. the size of the text on each of the 4 lines is 3 mm. 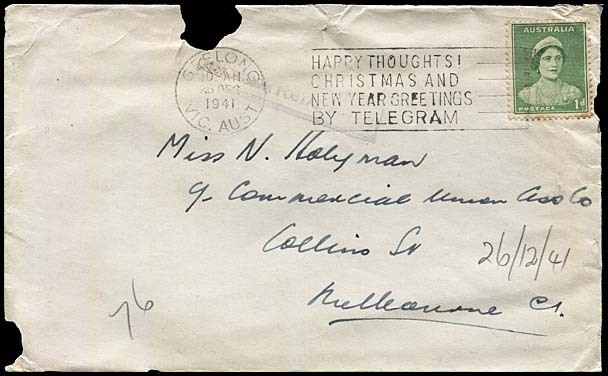 Latest date recorded for this die is 22 December 1955 at Ballarat (see Wallen). 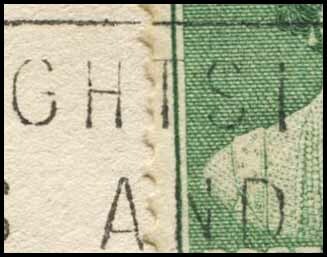 a rare variation on this die - which appears to have been quickly corrected - is recorded for Sydney. The exclamation mark (!) was inverted. no spaces between the three words on the third line. text size is 4 mm high (1st line) and 3.5 mm (other 3 lines). The earliest date of use for Die 3 (without !) 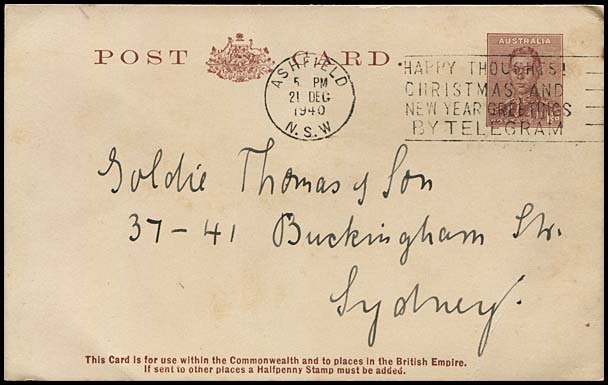 is 9 December 1940 at Brisbane and the latest date of use is 6 January 1941. There are 36 examples of this slogan in the Census. Click the hyperlinks for information about the various dies used for the HAPPY THOUGHTS slogan at that Office. The example shown is usually only one of the several dies used. 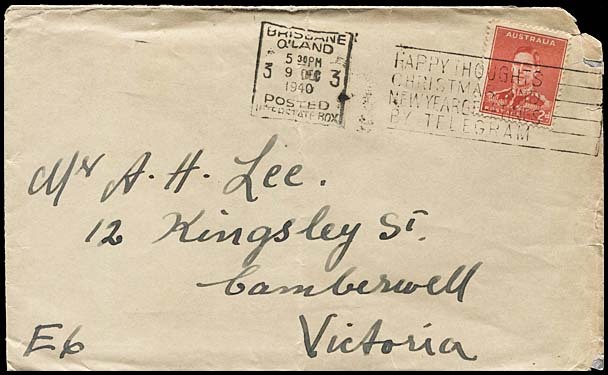 Only recorded example at Ashfield: 21 December 1940. (all are circles die 1A). (2nd line is an arc). (1st line is an arc). 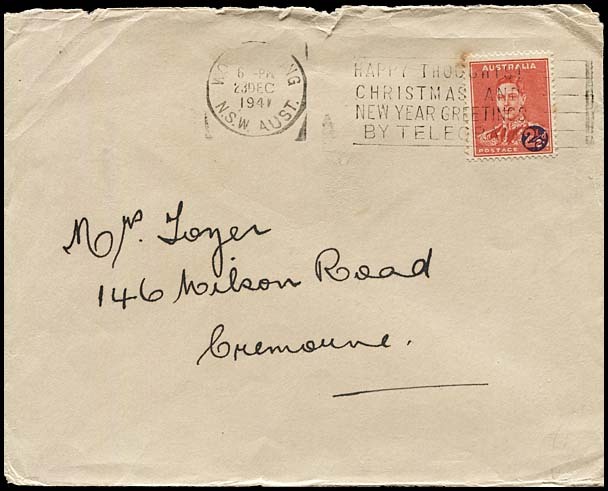 Only recorded date: 1941 (See Wallen). (including 2 circle date stamps). No time of cancellation but a large gap between dd/mm and year. Die 1A and Die 1B. Die 1B: Error in the slogan. Detail of this very rare error. An example has also been noted for Murwillumbah, NSW.